Dialacom is proud Irish distributor of Zepcam body cameras, the first choice of body cams for professional and personal use in Ireland. Body worn video cameras is a fast growing technology sector and we have sourced the best in the business. 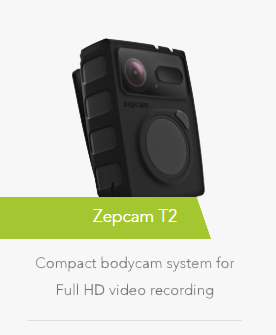 As a leading body camera supplier, we are delighted to showcase the robust and durable Zepcam body camera. This body-worn video system is simple to use, competitively priced and maintains state of the art technology with complete durability. It is the perfect system for all First responders, Fire Service body cameras, Garda body cams, Security Personnel body cameras and individuals who want to capture live streams and manage that footage. 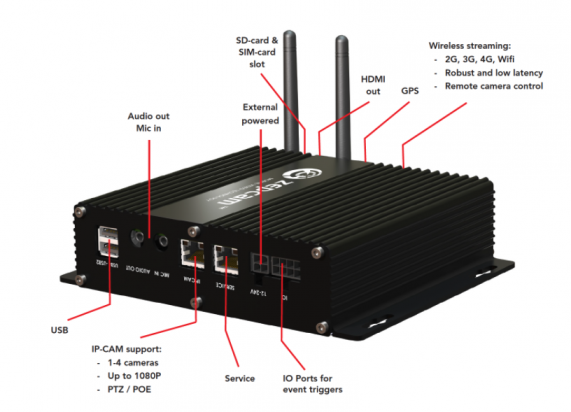 The Zepcam Mobile Video Box is a flexible and easy to use solution for wireless video surveillance for IP cameras. The Mobile Video Box comes with integrated back end software. It is an effective way to wirelessly stream and remotely manage surveillance cameras using 3G/4G or Wifi. The solution is easy to integrate with 3rd party video management software. 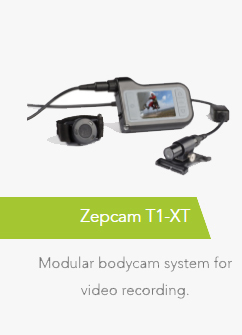 The Zepcam hardware camera solutions (body worn video and mobile video) are supported by own software solutions. Zepcam develops in house hardware and software. This guarantees optimal technical integration, excellent stability and the flexibility to develop and deploy new functionalities. The Zepcam Cloud Service and Zepcam Video Server Software makes live viewing and remote managing possible. Live video and data streams can easily be integrated in existing video management software or command & control infrastructure. Zepcam has integrations with the leading Video Management Systems like Genetec Security Center, Milestone, Cisco VSOM, OnSSi/Seetec and several others.The Zepcam Desktop Software takes care of automatic file transfer of recorded video and data from Zepcam bodycams to computer and Zepcam Cloud or Server Software. 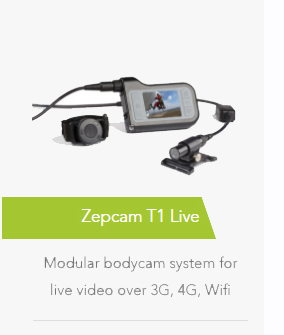 The Zepcam mobile video platform is an open architecture platform for body cams, vehicle cameras and wireless CCTV. The platform offers a comprehensive solution for video-on-the-move. It integrates and manages all aspects of the technical chain: video capture, video upload, wireless live streaming, storage, integration and management.The platform consists of integrated hardware and software. Its architecture is open where possible, proprietary when needed. Video is heavy on data, wireless networks are very dynamic by nature, clients demand real time and robust video from the field to command and control. Zepcam developed and optimised wireless streaming technology that solved this problem. With Zepcam Active Link Technology it is possible to stream real-time video and other data over fast changing wireless networks like 2G, 3G and 4G while keeping good quality video. The technology works network independent, over public and private mobile networks and is end-to-end encrypted.